Publius Cornelius Tacitus (AD56 - AD117) was a Roman orator, lawyer and senator. He is considered one of antiquities greatest historians. 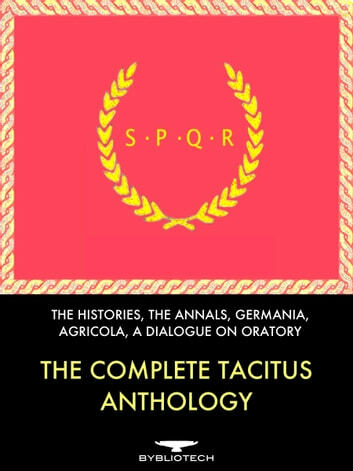 The surviving portions of his major works - "The Histories" and "The Annals" - examine the reigns of the Emperors Tiberius, Claudius, Nero and those who reigned in the "Year of the Four Emperors". These two works cover the span of history from the death of Augustus in AD14 to the death of Domitian in 96AD - although much of the later material is lost to history. 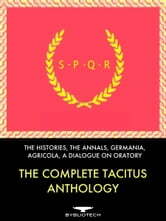 The other texts in this Anthology are "Germania", covering the customs and culture of the German people, "Agricola", covering the life of the Tacitus' father-in-law, the general of that name and his campaign in Britannia, and a lesser-known dialogue on the nature of oratory. This unexpurgated anthology has been compiled by www.Bybliotech.org and optimised for e-readers. It includes an active table of contents for ease of navigation, and features unique illustrations as frontispieces for the individual books in the anthology.